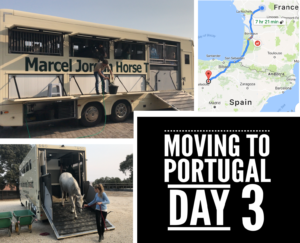 On day 3, we moved with Maestro (23 y/o), Romanesque (19 y/o), Toronto (17 y/o), El Blanco (16 y/o) and Prince Elmelund (12 y/o) from France to Spain. The horses were fit and relaxed and ready to go. It was interesting to see them becoming ‘used’ to the truck over the days, where getting on the truck became a ‘no-brainer’. Now on the first day, some of my horses needed a bit more time to figure out what this truck was all about. Why slant load in the ‘opposite’ direction? Why the diagonal loading faces more to the back? Why the horse’s heads are to the right sight of the truck (if you look from behind)? 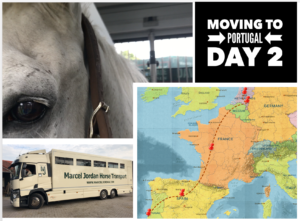 On September 6th, Maestro, Romanesque, Prince Elmelund, Toronto and El Blanco traveled with me to Portugal! On the first day we traveled to the South of the Netherlands for a final check up by the veterinarian. On day 2, we traveled to France. 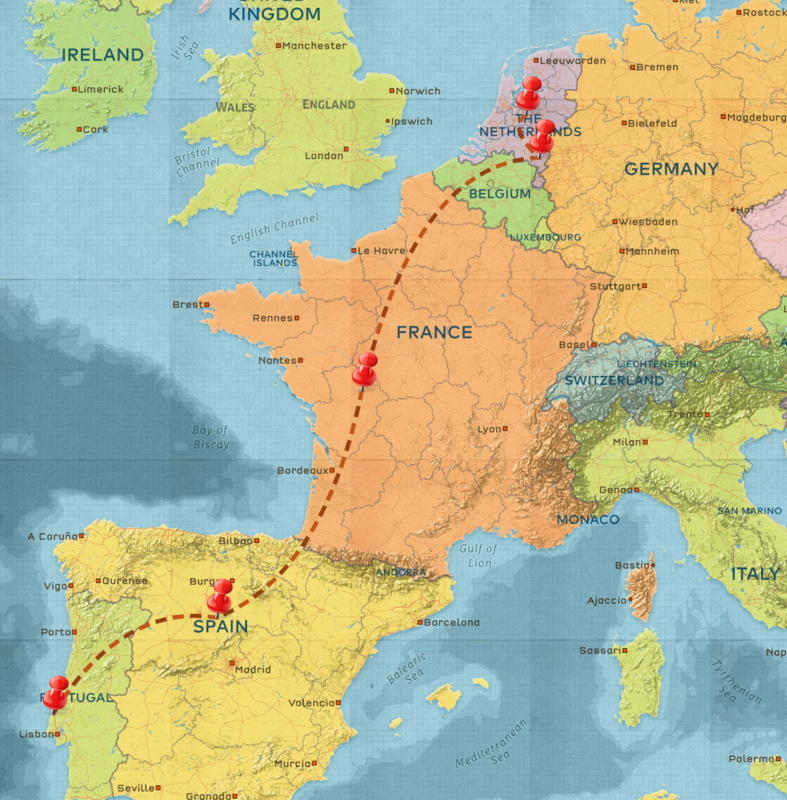 Then, on day 3, we ended up in Spain. And on day 4, we finally arrived in Portugal!